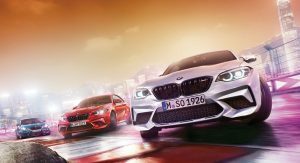 The BMW M2 Competition is one of the worst kept secrets in Germany at this point and an advanced copy of Evo is spilling even more secrets just days after several pictures surfaced online. 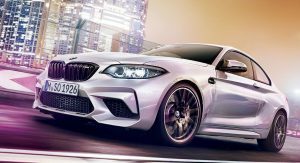 According to pictures of the magazine posted on Bimmerpost and found by Motor1, the M2 Competition will replace the regular M2 and is equipped with a new S55 engine that is sourced from the M3 and M4. The twin-turbo 3.0-liter six-cylinder is significantly more powerful than its predecessor as it produces 404 hp (410 PS / 301 kW) and 406 lb-ft (550 Nm) of torque – an increase of 39 hp (39 PS / 29 kW) and 37 lb-ft (50 Nm). 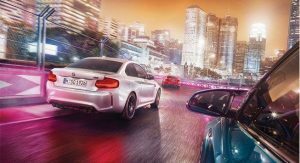 Thanks to the extra power, the M2 Competition will accelerate from 0-62 mph (0-100 km) in 4.4 seconds when equipped with the standard six-speed manual transmission. Customers can also order an optional seven-speed dual-clutch gearbox which reduces the time to just 4.2 seconds. Regardless of which transmission is selected, both variants have an electronically-limited top speed of 155 mph (250 km/h). 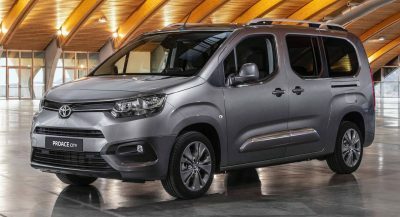 Unfortunately, the engine causes the car’s weight to increase from 1495 kg (3295 lbs) to 1550 kg (3417 lbs) thanks to additional cooling requirements. The news isn’t all bad as the model come equipped with an upgraded suspension, an Active M differential and a carbon fiber strut tower brace. 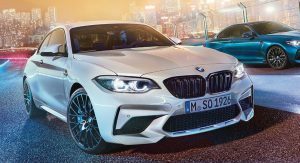 While we’ve already seen pictures of the car, the magazine says the M2 Competition has a new front fascia with a unique gloss black grille. 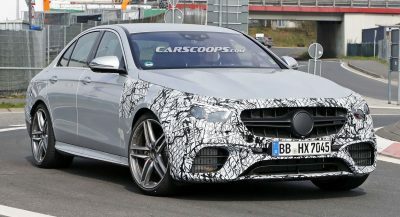 The model also has aerodynamic mirror caps and a revised color palette that now includes Hockenheim Silver and an orange color inspired by the 1-Series M Coupe. Buyers will also find restyled 19-inch wheels with Michelin Pilot Super Sport tires. They are backed up by a high-performance braking system with four-piston calipers grabbing 380mm discs up front and two-piston calipers with 370mm rotors out back. 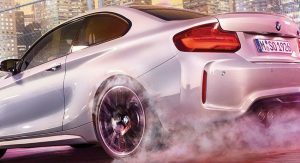 BMW will also offer an optional track braking package with larger discs (400mm and 380mm) and two additional calipers at each wheel. 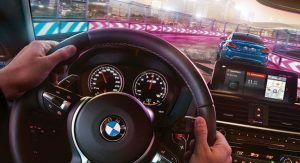 The M2 Competition will go on sale in the United Kingdom in July and pricing starts at £47,260. The M4 Coupe currently weighs 3,530 lbs, if anyone was wondering. 3417 vs 3620 is still 200 lbs lighter, but the M4 offers comfortable seating for 4, more comfort, and even more power and performance so its not an easy call, especially if pricing is close. >and two additional calipers at each wheel. I think that should be 2 additional PISTONS per wheel. BMW needs to address the rock-hard ride and boring interior. Also, hoping that detuning the M4 engine means its more reliable now! Lastly, it cant come in at a base price any higher than $60k-ish (M2 is $50k base) or it won’t hold up as well to competition at $70k+ I’d think. 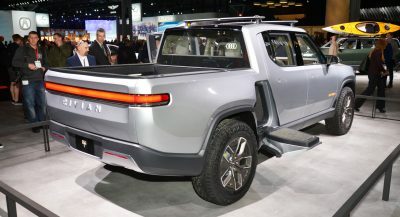 Next PostNext What Automaker Makes The Best Two-Car Garage For Enthusiasts?